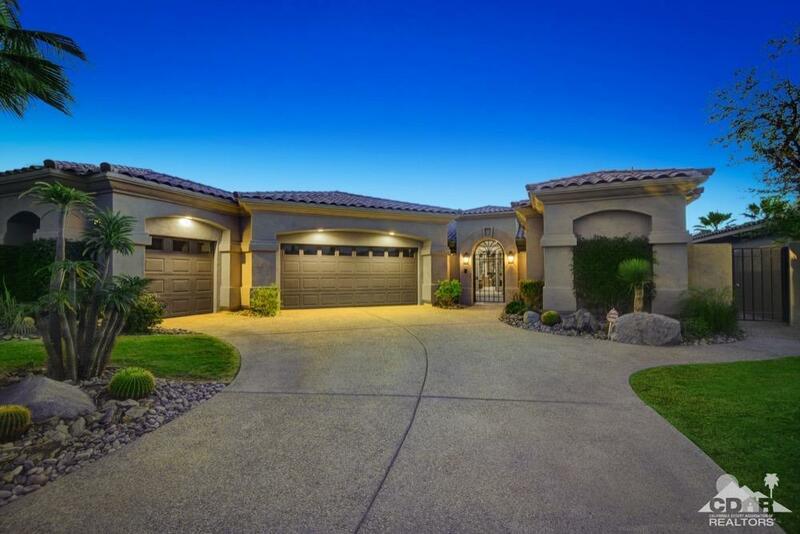 Highly sought after Ocotillo 1G floor plan with impressive views & upgrades throughout. The chef's kitchen includes a large center island perfect for prepping, double ovens, warming draw & tons of storage space. 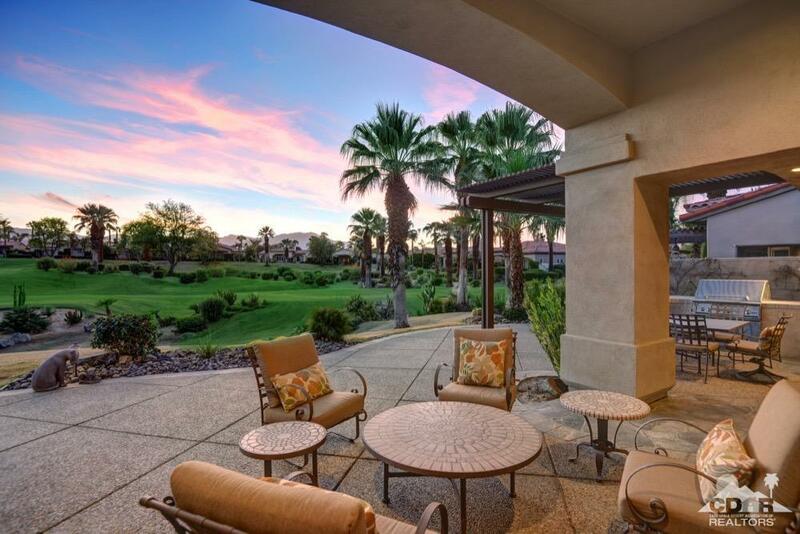 Perfectly situated on the 11th and 12th holes of the Arroyo Course to capture the best double fairway and mountain views in Indian Ridge. 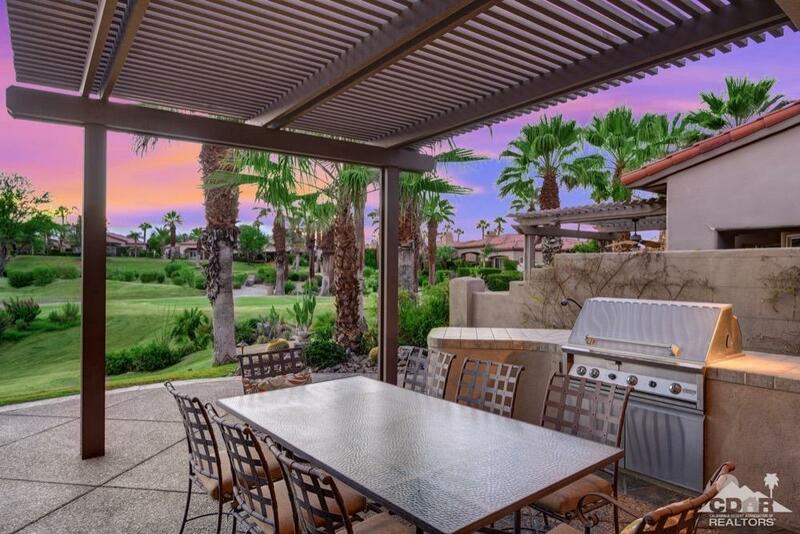 The expansive back patio is perfect for entertaining or enjoying a casual dinner underneath the custom pergola. The spacious master suite has custom shutters, two walk-in closets & double vanities. Two additional en suite bedrooms are nicely separated from the master giving everyone their own space. The guest casita is perfect for those guests wanting that extra privacy. 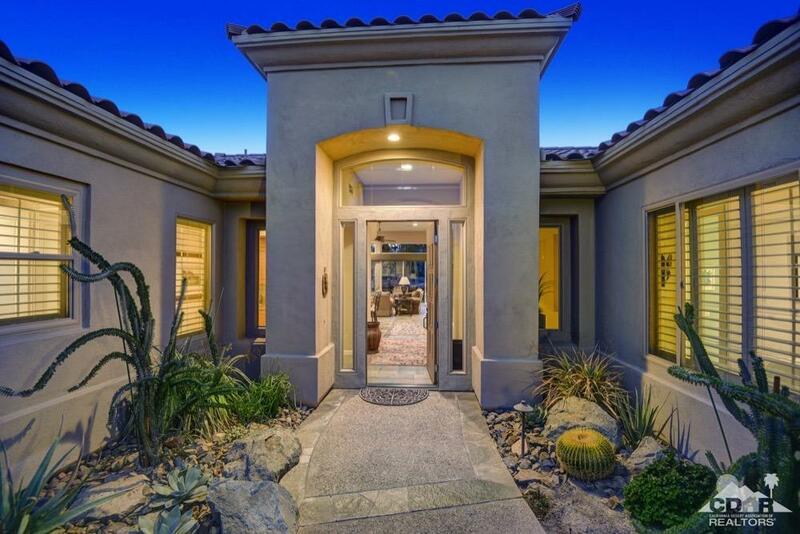 This home is meticulously kept & includes tile flooring, upgraded doors, paved front courtyard & back patio w/desert scape, newer water heaters & much, much more. Furnished per inventory list. Club or Golf Membership available.